provides a sensation of immersivity and allowing the participant to move freely while his/her motion is tracked, and interact with the virtual world using a specially designed actuator device. Recently, more realistic 3D displays have been designed as new, more ecologically valid alternatives to conventional 2D visual displays. However, research has thus far provided inconsistent evidence regarding their contribution to visual-spatial image encoding and transformation. 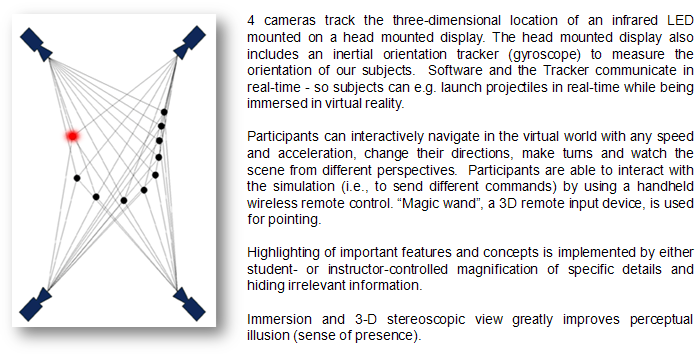 The majority of experimental studies on 3D visual-spatial processing have been conducted using traditional 2D displays. Our research suggests that immersivity is a critical feature of 3D virtual environments for facilitating visual processing and the training of visual ability.